Elizabeth practices in the areas of family provision, wills and testaments, family law and administrative law. 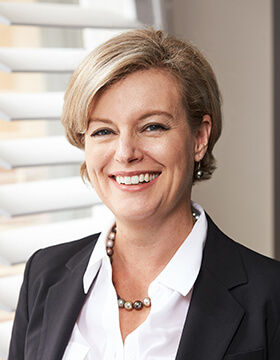 Prior to coming to the bar, Elizabeth was employed as a solicitor at Minter Ellison, and in various government legal roles, including at the NSW Crown Solicitor’s Office and at the NSW Department for Women. She holds a Masters of Laws from the University of Queensland, a Bachelor of Laws and Bachelor of Arts in History with Honours from the University of Sydney.